After a weekend of feasting and shopping, today is a day to pay it forward and spread goodwill. Credit for the idea described here goes to Jeremy Kroeker, who raised it on a FaceBook post, last week. It’s a perfect way to give a gift of meaning, with no financial outlay (if you’ve got the book). I couldn’t agree more. Reviews are gold and make our day. They’re also very useful to other discriminating readers who are deciding on their next meaningful purchase. So I assembled a list of books you’re likely to have either read or be interested in reading, and linked them to the Amazon page where you can leave that glowing review. 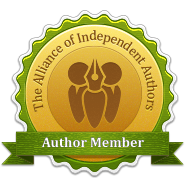 Many have multiple books published so while you’re at the author’s Amazon page, check out their other books. Then, for the icing on the cake, there are tweetable links, where you can spread the word about your review, or your intent to add the book to your reading or wish list. All you have to do is click on the link. What could be easier? And trust me. It will be greatly appreciated. You may even discover books of great interest you weren’t aware of. This list is by no means exhaustive, and unfortunately to include everyone, would be a huge undertaking. So I’ve assembled an assortment from 16 authors so there will be something of interest for you – and everyone on your gift list. Not all books are about motorcycles, but all authors are riders. I just reviewed @dianabletter’s The Mom Who Took Off on Her #Motorcycle. Read it here. ‪Added @dianabletter’s #themomwhotookoffonhermotorycle to my reading list. See more #motorcycle authors here. 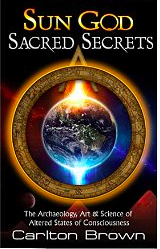 I just reviewed @carltonbrownV47’s book Sun Good Sacred Secrets. Read it here. Added @carltonbrownV47’s book Sun Good Sacred Secrets to my reading list. See more #motorcycle authors here. 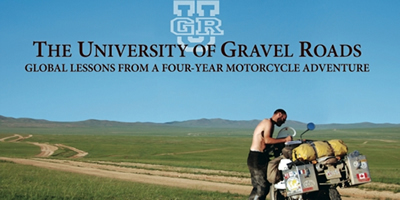 I just reviewed @renedian’s book The University of Gravel Roads. Read it here. Added @renedian’s book The University of Gravel Roads to my reading list. See more #motorcycle authors here. I just reviewed @lindacrill’s book Blind Curves. Read it here. 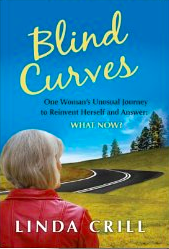 Added @lindacrill’s book Blind Curves to my reading list. See more #motorcycle authors here. 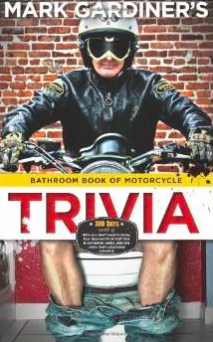 I just reviewed @backmarker’s book Bathroom Book of #Motorcycle Trivia. Read it here. 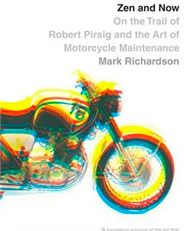 Added @backmarker’s book Bathroom Book of #Motorcycle Trivia to my reading list. See more #motorcycle authors here. I just reviewed @backmarker’s book Riding Man. Read it here. 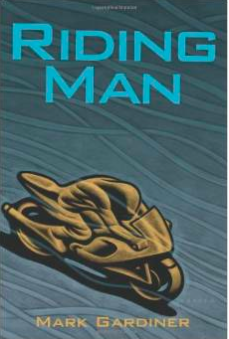 Added @backmarker’s book Riding Man to my reading list. See more #motorcycle authors here. NOTE: I’ve just linked to the LLFM book: 75 Tips for Enjoying Robust Relationships. Feel free to leave a review for any of the other 11 also on Amazon. If you’d like a free copy in exchange for a review, let me know. I just reviewed @trilliumliz’s book Women #Motorcycles & the Road to #Empowerment. Read it here. 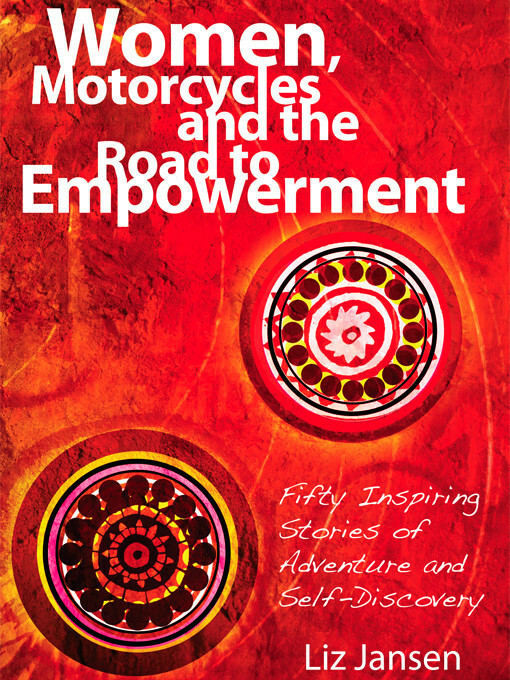 Added @trilliumliz’s book Women #Motorcycles & the Road to #Empowerment.to my reading list. See more #motorcycle authors here. 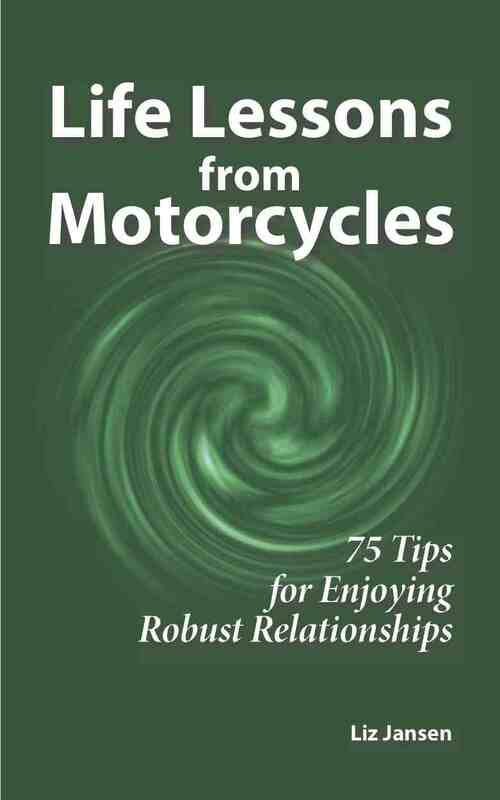 I just reviewed @trilliumliz’s book Life Lessons from #Motorcycles. Read it here. 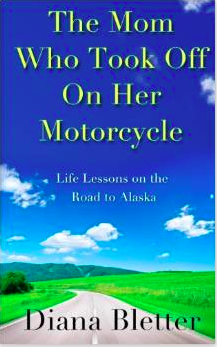 Added @trilliumliz’s book Life Lessons from #motorcycles to my reading list. See more moto authors here. 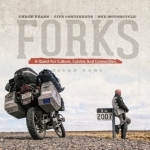 I just reviewed @allankarl’s book FORKS A Quest for Culture Cuisine & Connection. Read it here. Added @allankarl’s book FORKS A Quest for Culture Cuisine & Connection to my reading list. See more #motorcycle authors here. I just reviewed @carlaking’s book American Borders. Read it here. Added @carlaking’s book American Borders to my reading list. See more #motorcycle authors here. 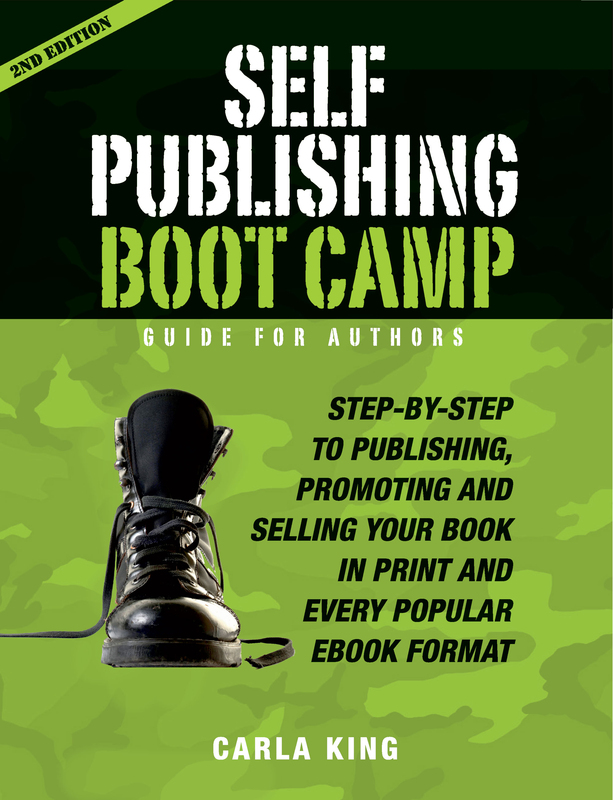 I just reviewed @carlaking’s book Self Pub Boot Camp. Read it here. Added @carlaking’s book Self Pub Boot Camp to my reading list. See more #motorcycle authors here. I just reviewed @jeremy_kroeker’s book #Motorcycle Therapy. Read it here. 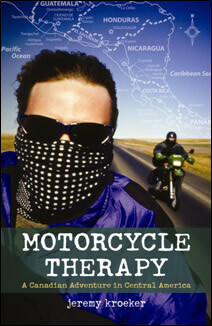 Added @jeremy_kroeker’s book #Motorcycle Therapy.to my reading list. See more moto authors here. 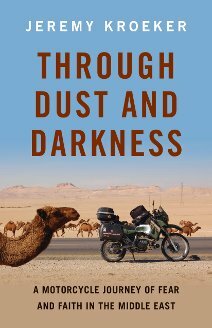 I just reviewed @jeremy_kroeker’s book Through Dust and Darkness. Read it here. Added @jeremy_kroeker’s book Through Dust and Darkness to my reading list. See more moto authors here. 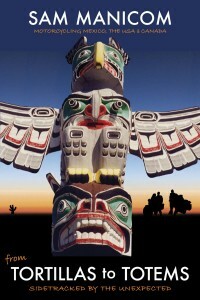 I just reviewed @SamManicom’s book Tortillas to Totems. Read it here. Added @@SamManicom’s book Tortillas to Totems to my reading list. See more #motorcycle authors here. 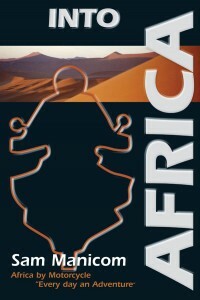 I just reviewed @SamManicom’s book Into #Africa. Read it here. Added @SamManicom’s book Into #Africa to my reading list. See more #motorcycle authors here. 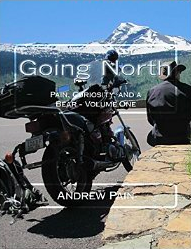 I just reviewed @painonpatrol’s book Going North. Read it here. 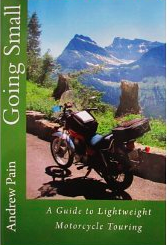 Added @painonpatrol’s book Going North to my reading list. See more #motorcycle authors here. I just reviewed @painonpatrol’s book Going Small. Read it here. Added @painonpatrol’s book Going Small to my reading list. See more #motorcycle authors here. I just reviewed #melissaholbrookpierson’s book The Perfect Vehicle. Read it here. 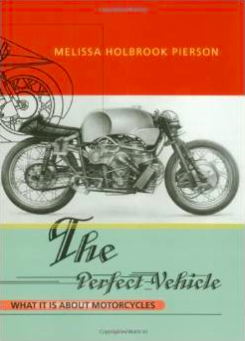 Added #melissaholbrookpierson’s book The Perfect Vehicle to my reading list. See more #motorcycle authors here. 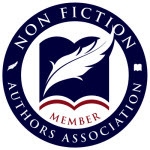 I just reviewed #melissaholbrookpierson’s book The Man Who Would Stop At Nothing. Read it here. 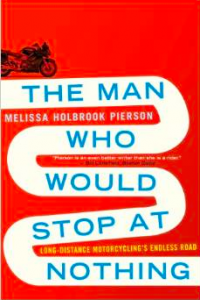 Added #melissaholbrookpierson’s book The Man Who Would Stop At Nothing to my reading list. See more #motorcycle authors here. 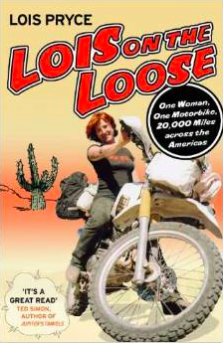 I just reviewed #loispryce’s book Lois on the Loose. Read it here. Added #loispryce’s book Lois on the Loose to my reading list. See more #motorcycle authors here. I just reviewed #loispryce’s book Red Tape and White Knuckles. Read it here. 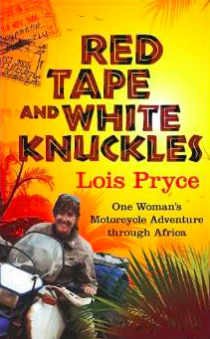 Added #loispryce’s book Red Tape and White Knuckles to my reading list. See more #motorcycle authors here. 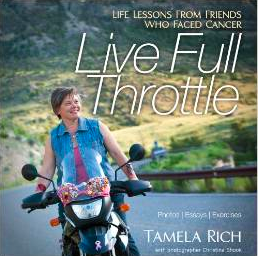 I just reviewed @tamelarich’s book Live Full Throttle. Read it here. Added @tamelarich’s book Live Full Throttle to my reading list. See more #motorcycle authors here. I just reviewed @WheelsMark’s book Zen and Now. Read it here. Added @WheelsMark’s book Zen and Now to my reading list. See more #motorcycle authors here. 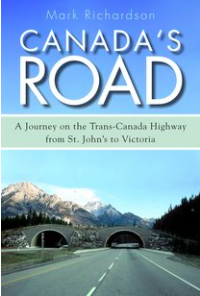 I just reviewed @WheelsMark’s book Canada’s Road. Read it here. I just reviewed #crissommersimmons’ book The American #Motorcycle Girls. Read it here. 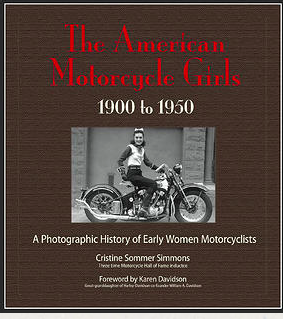 Added #crissommersimmons’ book The American #Motorcycle Girls to my reading list. See more #motorcycle authors here. I just reviewed #crissommersimmons’ book Patrick Wants to Ride. Read it here. 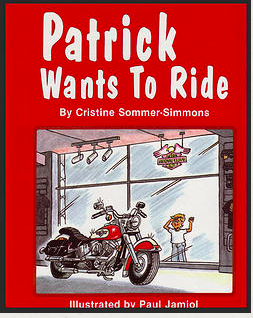 Added #crissommersimmons’ book Patrick Wants to Ride to my reading/gift list. See more #motorcycle authors here.